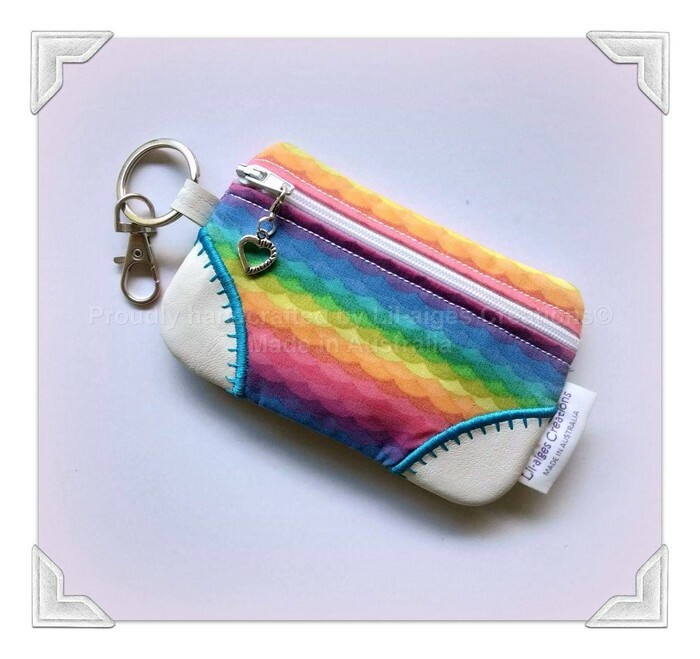 Wow, how cute does this colourful coin purse look? Perfect to store all that small change, cards etc instead of having to take a large bag out and about or makes your coins and cards easy to locate in a larger bag. This gorgeous little coin purse is fully lined, has a love heart zipper pull as well as keychain hardware so you can attach to Keys etc. Measures 13cm x 8cm approx. Please note: my creations are not intended for children 3 years and under due to having removable keychain hardware. Great care is taken to ensure that each item is as safe as possible. Each piece is carefully machined and hand-cut. Regularly check the condition of the item for signs of wear or tear. If stitching comes loose, dispose of the item or have it repaired professionally. Quality handcrafted creations made in Australia.